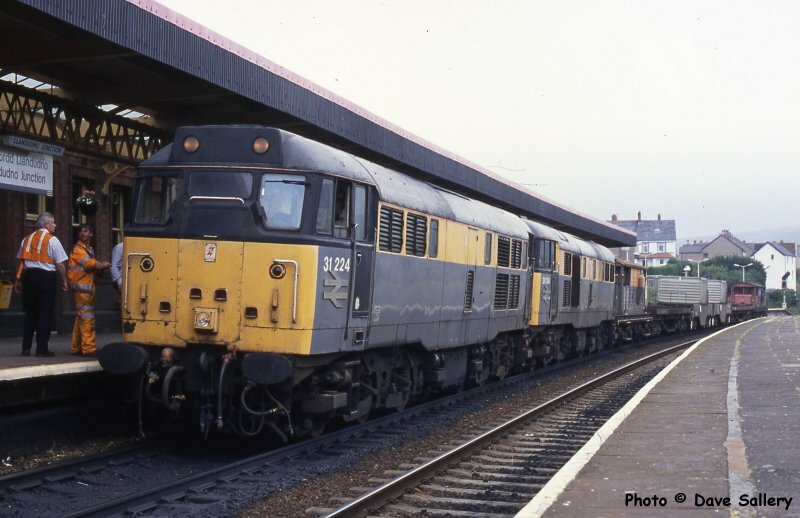 31224 and 134 at Llandudno Junction after arriving with the nuclear flask train from Trawsfynydd. At each end of the train is one of the ex Southern Railway 'Queen Mary' bogie brake vans. 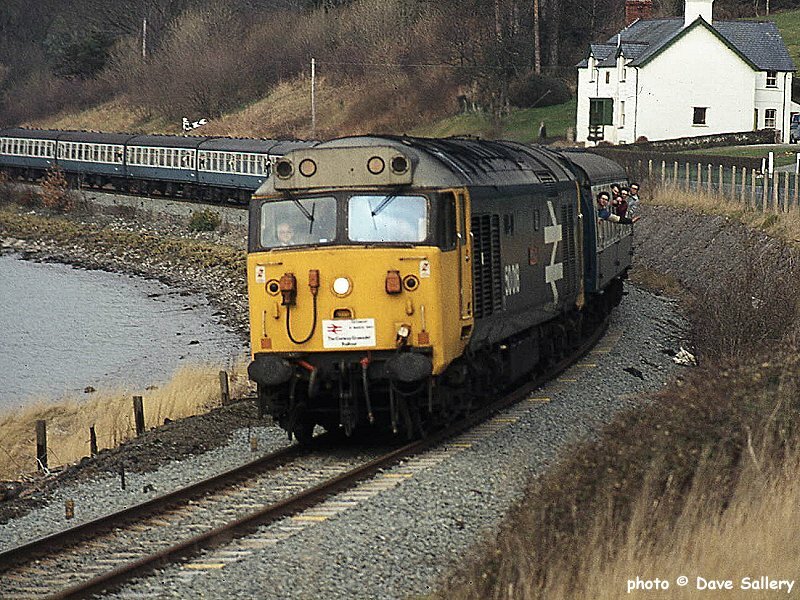 56108 had the task of hauling what may have been the last train to Trawsfynydd - The "Trawsfynydd Lament" railtour of October 17th 1998. At the rear of the train was 47785 "Fiona Castle". The train is standing at Platform 4 at Llandudno Junction ready to head up the branch. The tour ran late and in appalling weather conditions. The single line token machine for the Llandudno Junction - Llanrwst section is located in the station buildings on the right. 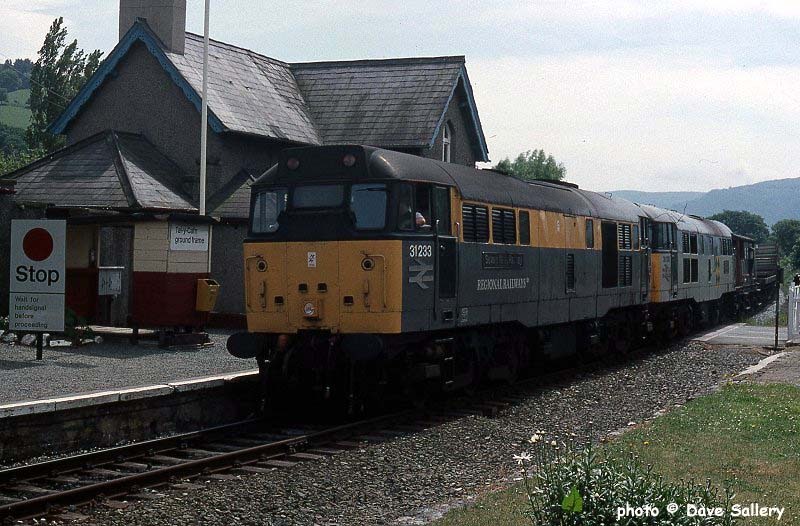 The normal traction of a pair of Class 31's - 31201 and 224 - join the main line at Llandudno Junction on April 26th 1994 on the Tuesdays and Fridays only train from Trawsfynydd to Sellafield. By this time the power station had closed and the trains ran to empty the reactors of nuclear waste. It was normal practice to couple to the train from Valley on Anglesey at the junction for the onward journey, which was then triple headed. The two brake vans in the train are ex Southern Railway bogie vehicles. These were used because of their better accommodation on the run from Blaenau to Trawsfynydd during which the train was propelled. 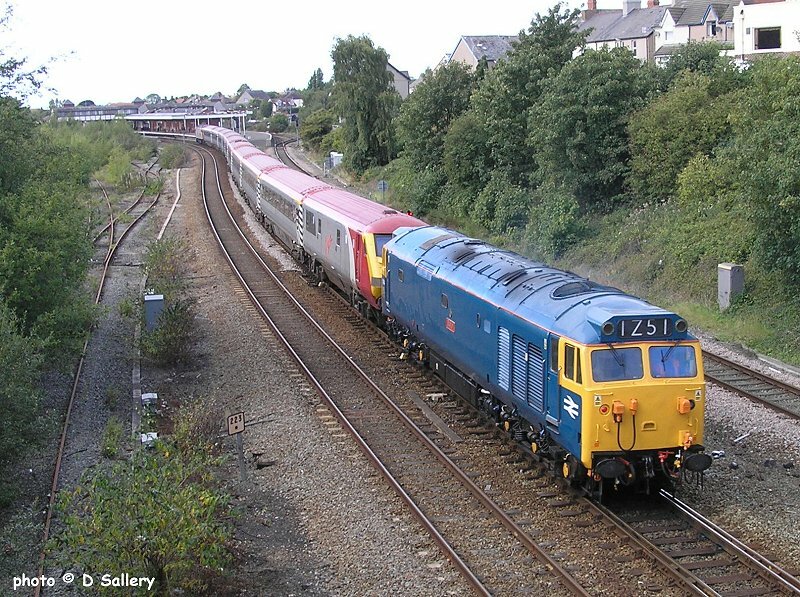 57304 arriving at Llandudno Junction from North Llanrwst on September 4th 2011. The train is the Snowdon Ranger run by P.T.G. tours. On the rear is preserved 50044 'Exeter'. 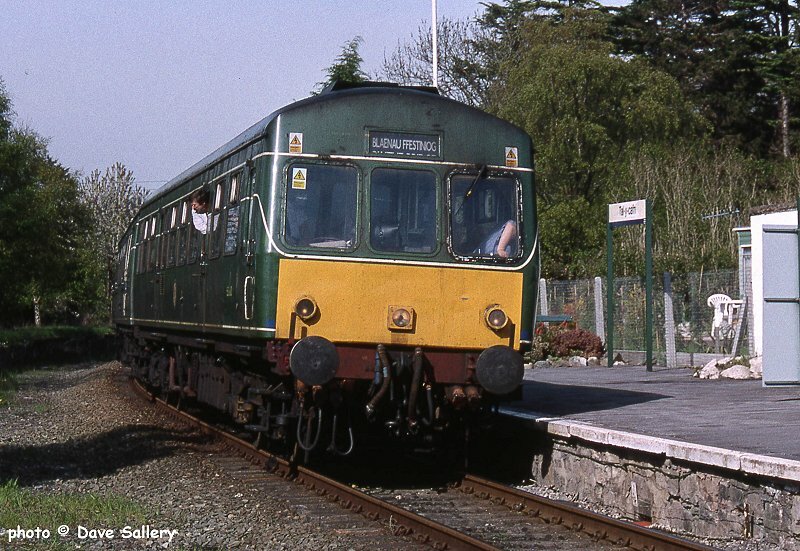 101683 pictured at Glan Conwy on 24th June 1994 on a Llandudno to Blaenau service. The River Conwy is at high tide. 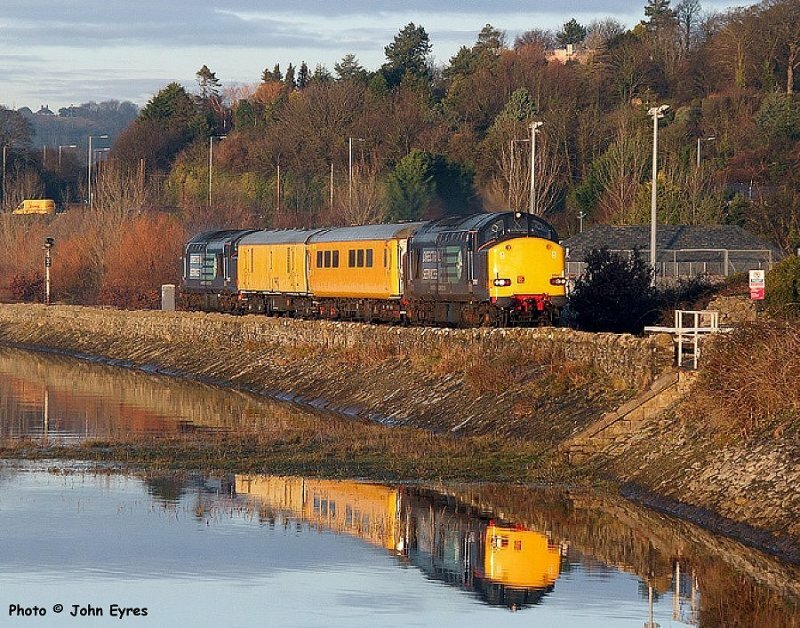 37607+37603 near Glan Conwy while working a Crewe-Holyhead-Blaenau Ffestiniog-Crewe radio survey train, 18th December 2012. Photo by John Eyres. 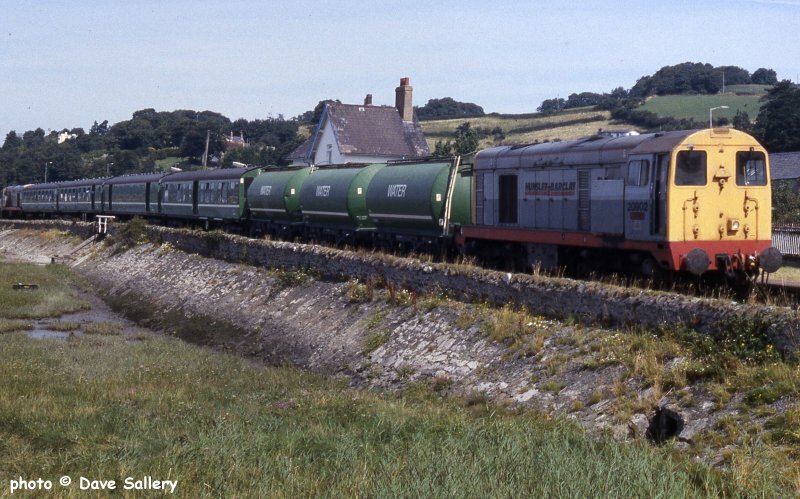 Hunslet Barclay owned Class 20's Nos. 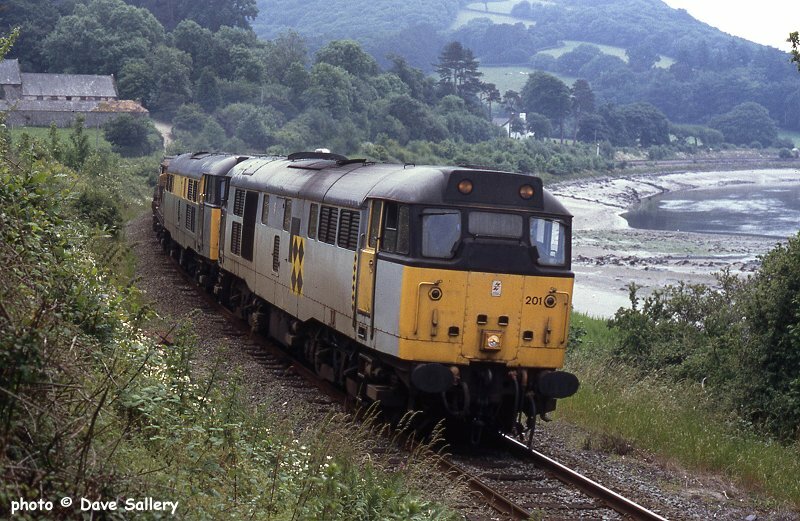 20902 and 903 are passing Glan Conwy on August 17th 1993 on their way up the valley. They are top and tailing the weedkilling train which is making its annual appearance on the line. 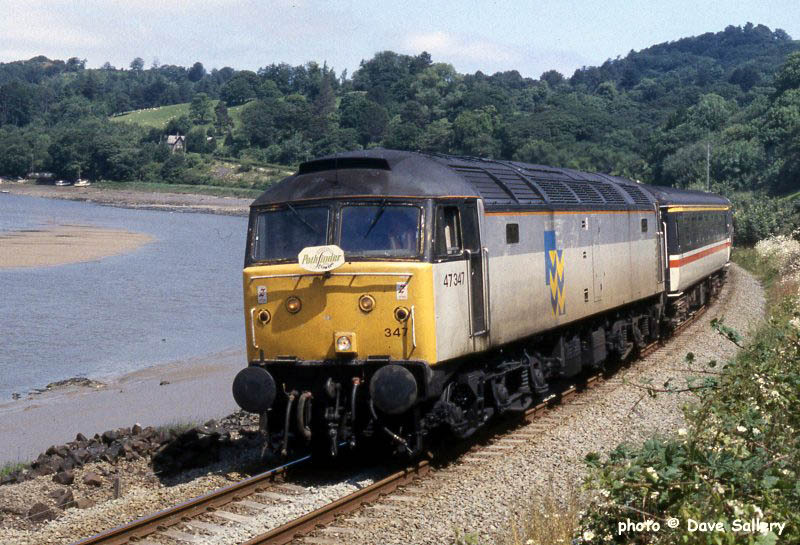 31163 and 201 near Tal y Cafn on July 1st 1994 on the nuclear waste train. The tidal Conwy can be seen on the right. In the trees to the left are the famed Bodnant Gardens. 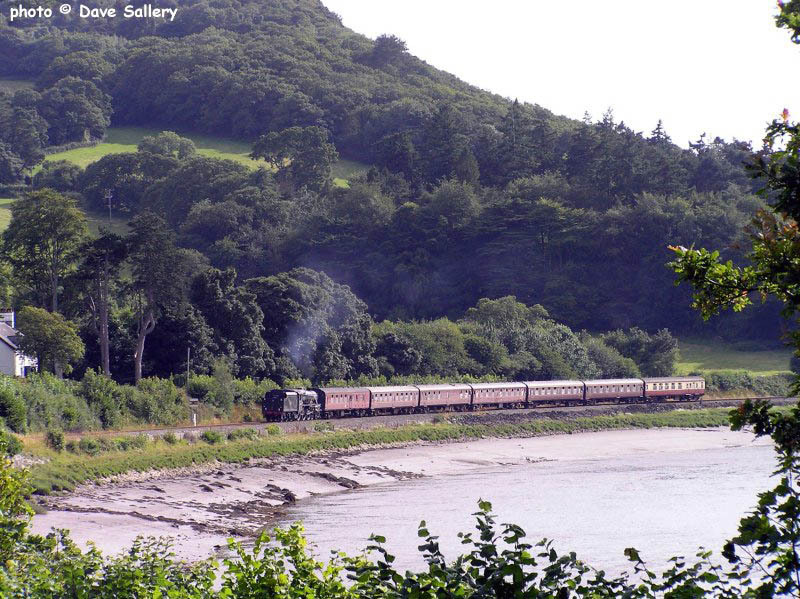 45231 brings its seven coach train down the Conwy Valley on 5th August 2009. 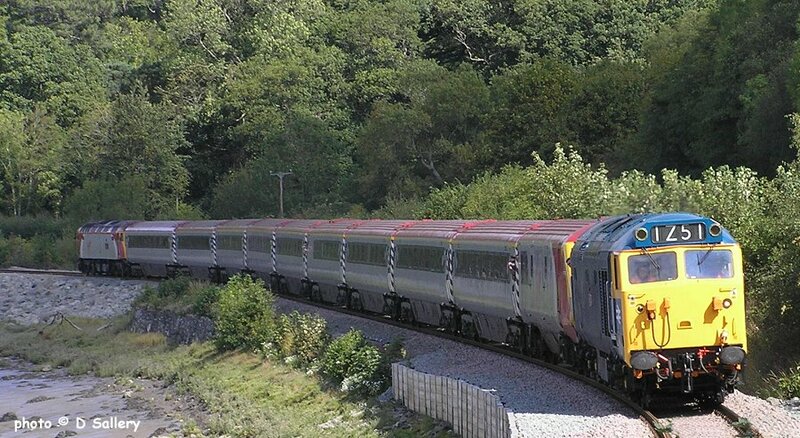 This train ran into problems on its run to Blaenau earlier in the day. 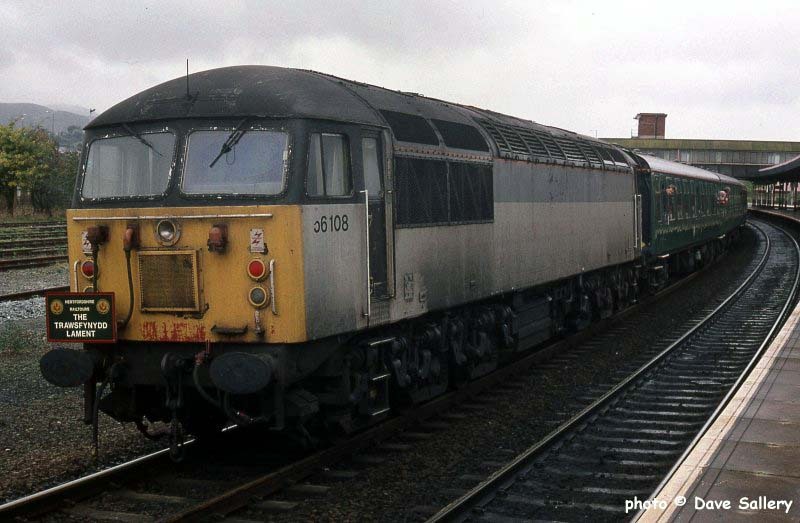 50018 became the first Class 50 to visit the line on 10th March 1984. Seen at Tal y Cafn while working the Conwy Crusader railtour. 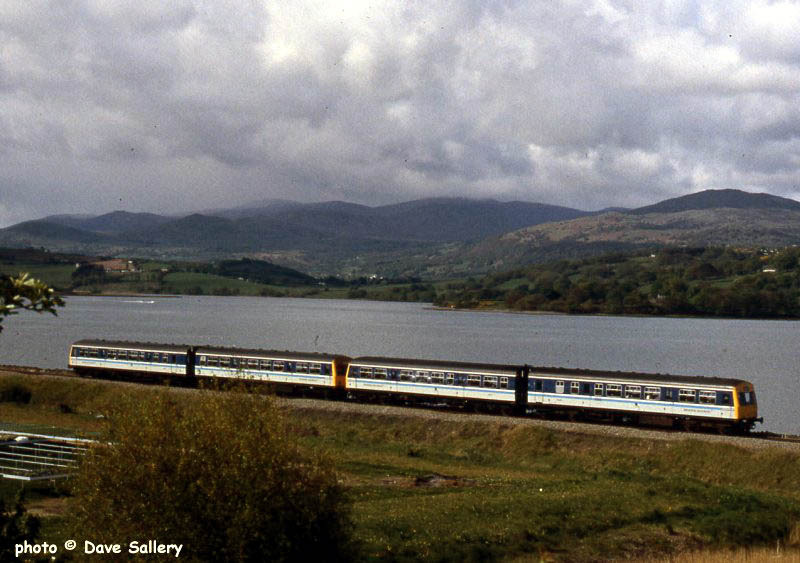 With its superb scenery and Ffestiniog Railway connection at Blaenau, the Conwy Valley line sees quite a number of special passenger trains. Here, a Pathfinders Executive tour to Blaenau is skirting the Conwy near Tal y Cafn behind 47347. This loco would have been attached at Llandudno Junction to the rear of the train, which originated in London. June 26th 1993. Class 47 No. 47809 "Finsbury Park" is viewed at the other end of the train in the previous photo. 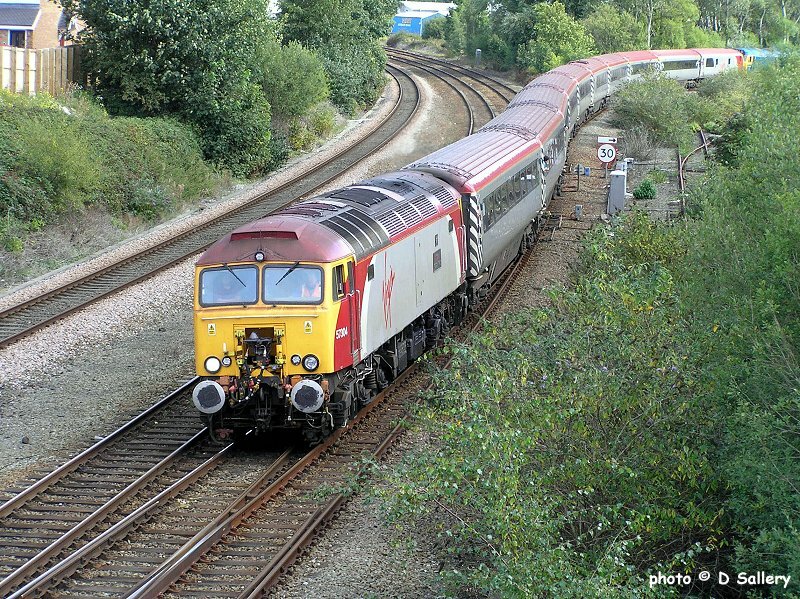 Top and tailing trains in this fashion has always been commonplace in diesel days on the line. Above the train can be seen the Carneddau mountain range. 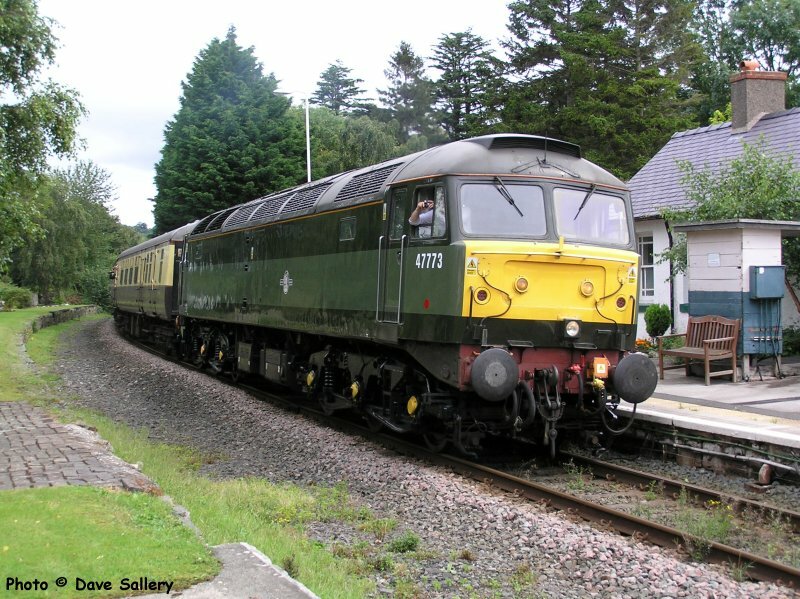 50044 near Tal y Cafn on September 4th 2011. On the rear is Virgin's 57304. The train was the 'Snowdon Ranger' run by P.T.G. tours. 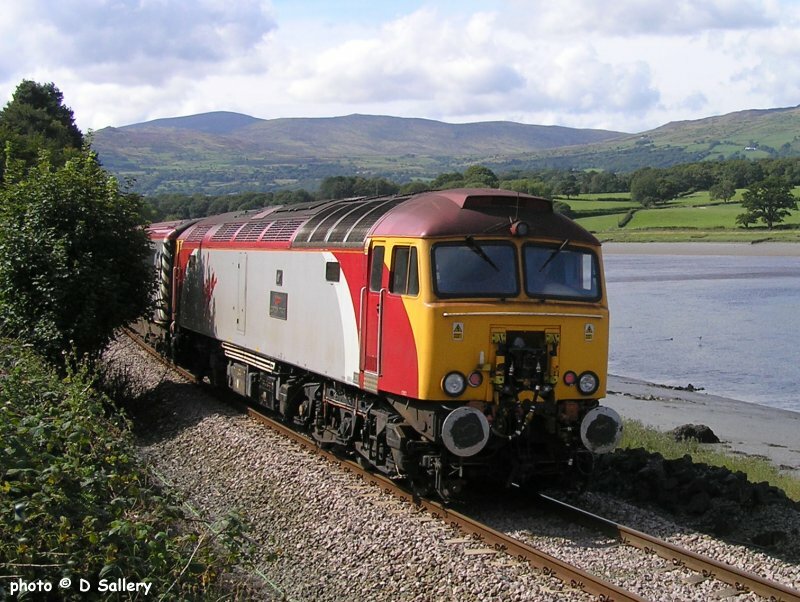 It ran from Euston to Holyhead the previous day and went as far as North Llanrwst on the sunday to pick up passengers from connecting coach tours. 57304 0n the rear of the 'Snowdon Ranger' near Tal y Cafn, 4th September 2011. 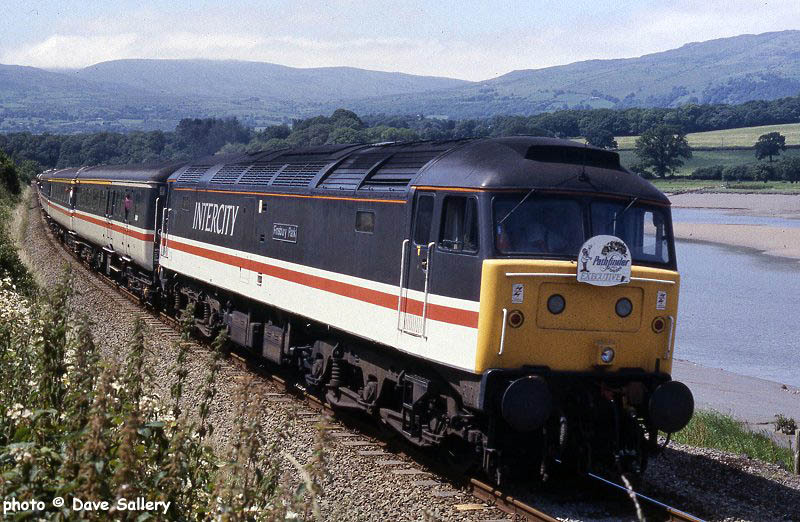 101685 also known as "Daisy" arrives at Tal y Cafn on 7th May 2001. This station once possessed a crossing loop and was known as "Tal y Cafn and Eglwysbach". 47773, Tal y Cafn, 18 August 2012. The secondman is keeping a record of the rare track! 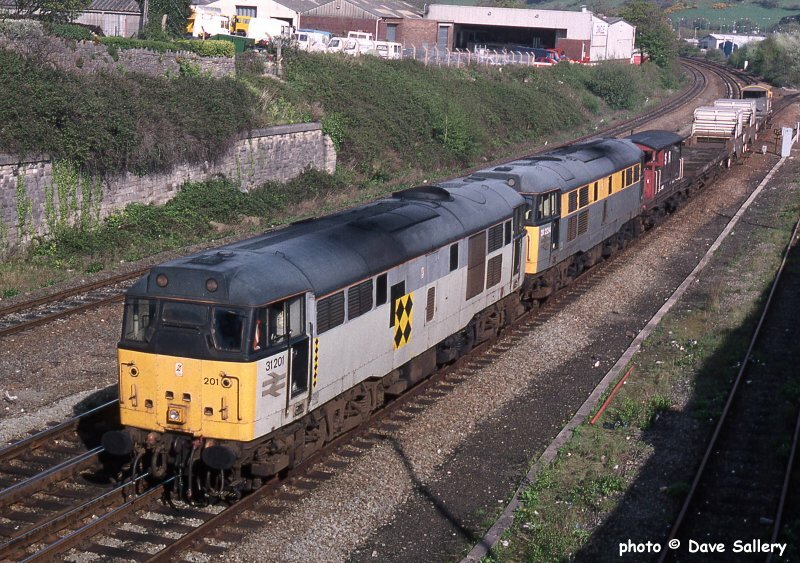 A pair of named Class 31's - 31233 "Severn Valley Railway" and 31130 "Calder Hall Power Station" pass slowly through Tal y Cafn station on 17th June 1994 with their hazardous cargo. The crossing gates here are still hand operated and the small lever frame to lock them is on the left of the train. The requirement for all trains to stop was brought in shortly before, following an incident when a train went through the gates while they were still closed to rail traffic.